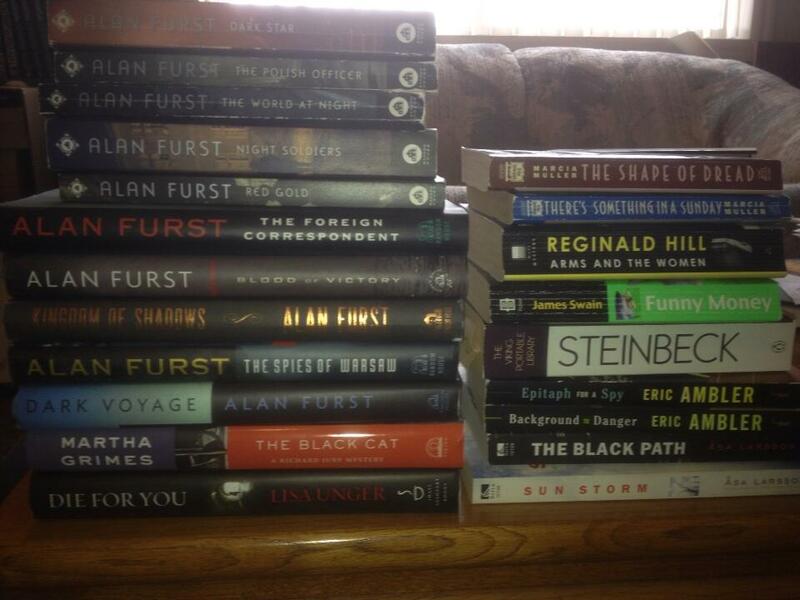 Books I inherited from my mother in law, which I’ve just unboxed. We shared a lot of recommendations over the years; I’m eager to try these. From my pal Nat Gertler, head honcho at About Comics, home to an eclectic and fascinating selection of comics and other material, comes some pretty terrific news. Robert Mayer, the author of the brilliant Superfolks, has a new novel out. I haven’t read it yet myself, but I’m eager to get to it—everything I’ve read by Mayer has been terrific, and Superfolks was a revelation, over time changing my outlook on both superheroes and on writing, and making it possible for me to write Marvels, Astro City, Superman: Secret Identity and more. 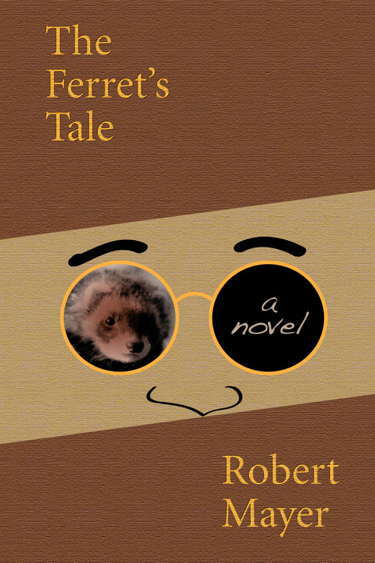 Robert Mayer, the acclaimed author whose Superfolks changed the course of superhero fiction, has just released The Ferret’s Tale, a serious, dramatic, psychological novel told from the point of view of a ferret named Cleo. Ezra Wroth is a man of today, a master of science but facing his own mortality, struggling with an array of uncertainties. His children are adults with more exuberance than wisdom, his own past holds dark secrets, and the world around him has plans for him he cannot imagine. Into his life comes Cleo, a ferret who understands him better than he understands himself… or is what is happening not quite what it seems? The Ferret’s Tale is a story of the human struggle, of love and war, sorrow and joy, death and renewal, faith and doubt. That’s probably more than readers expect from a book narrated by a ferret… but then, they probably also don’t expect the robots in such a book, nor the Nazis. Mayer has written for Vanity Fair, The New York Times, The Washington Post, Newsweek, GQ, and more. Best-selling author John Grisham called his The Dreams of Ada “a fascinating book, a wonderful reminder of how good true-crime writing can be.” Mayer lives in New Mexico with his tapestry-weaving wife, La Donna, and their people-loving pit bull. This novel is the first effort of Combustoica, a new non-comics project of About Comics, a decade-old publishing and packaging firm. About Comics was the publisher who returned Superfolks to print after decades off the shelves (the book is now in print from St. Martin’s Press ). Further books from Mayer and other authors are in the works from Combustoica. The Ferret’s Tale is available for immediate downloading via the Kindle ($4.99), and the paperback edition ($14.99, ISBN: 978-1456358976) as well as editions for other ebook devices can be ordered through Combustoica.com. The paperback is also available through Amazon and will soon be available through other online bookstores. About Comics is a specialty publishing and packaging company with more than a decade in the field. Founded by writer Nat Gertler, About has published everything from totally blank comic books to books of work by mainstream best-seller Charles Schulz and comic shop favorites like Kurt Busiek and Gail Simone. About Comics packaging services have arranged for original material or for reprint rights for a broad range of clients. Clicky links for ordering are up there in the press release. I urge you to give The Ferret’s Tale a look. 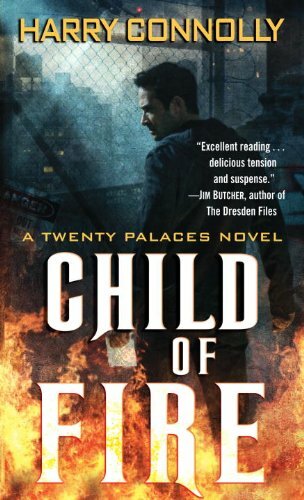 So, while ago, Harry Connolly, who knows me from an Internet bulletin board we both frequent, sent me a copy of his novel, Child of Fire: A Twenty Palaces Novel . It’s his first sale, it’s recently out, and he figured maybe if I liked it, I’d write it up here. Well, I did, so will. To my mind, there are two major subdivisions of urban fantasy. There’s the stuff the term was coined to describe—Emma Bull’s War for the Oaks, Charles de Lint’s novels and so on. Stories of ordinary people chancing into contact with an unseen world of fantasy and magic, and getting caught up in it. And then there’s the burgeoning field of what I call “asskickers of the fantastic” (with due apologies to Jim Stenstrum)—stories of vampire slayers, wizards for hire, and other specialists in dealing with the creatures of fantasy, usually by kicking the crap out of them and preventing them from making dangerous incursions into the regular mundane world. Child of Fire is solidly and thoroughly in the “asskickers” camp. Ray Lilly is the “wooden man” for Annalise Powliss, a sorceress who’s part of a society focused on keeping demons out of the mundane world. Powliss is powerful, but callous and brutal, and the whole Twenty Palaces Society seems like a pretty nasty organization. The best that can be said about them is that the demons they keep from munching on our tasty parts are worse. As a “wooden man,” Lilly is half dogsbody, half stalking horse—a chauffeur/aide/grunt worker who is expected to serve as a target for the bad guys so Powliss can get at them more easily. Wooden men don’t generally survive long, and Lilly doesn’t expect to be an exception. But he’s the hero of the book, which is the first in a series, so I expect we’ll see him defy the odds for some time. Lilly and Powliss have come to a small town in Washington State’s Olympic Peninsula, after a demon infestation that seems to be riven through the entire town structure. Their job is to root it out and destroy it, which they do with considerable pain, effort, damage and destruction. It’s a real page-turner—it’s exciting, the combat descriptions are very good, and the story has a lot of momentum. It feels as much like a hard-boiled PI novel as a fantasy, particularly one of those Chandleresque tales of the outsider PI coming into some family-controlled town and stirring up trouble until old secrets are laid bare and justice—but not peace—has been achieved. But, you know, with demons and werewolves and magical boxcutters. I liked the Pacific Northwest setting—I’d been driving around the area not long before I got the book, and it felt right. It’s also a treat to get a book that takes you somewhere specific, but away from the usual stomping grounds of this sort of thing. And the magical systems and cosmology in the book felt nicely complex and credible—the history behind the conflicts, the way magic works, that sort of thing. There’s a nice sense of benefit-coming-at-a-price to the magic, particularly Powliss’s method of healing up from damage, and the protective tattoos both leads wear. That’s not to say the book is perfect. It felt like a first novel, where at times the characters seemed more like recurring attitudes than fleshed-out individuals, but that’s the sort of thing that improves with practice. And for all that the details of the magic were intriguing, the actual context for this particular conflict seemed slight to me. We learn very little about the Twenty Palaces Society and their reasons for doing what they do, and we’re (unfortunately) told at one point that the demons, who seem to be the bad guys of the whole series, are just a bunch of hungry unreasoning monstrosities who don’t have any personalities or motivations beyond breeding, eating and spreading, so the fact that they have some very cool surface texture to them is undercut by the fact that what’s under that surface texture makes them nothing more than Bad Things What Need Killing. And that feels bland to me, and leaves this first novel boiling down to: The heroes are pointed at the bad guys for reasons we’re never clear on and told to kick the crap out of them, which they do. On to the next trouble-spot. So for all that the action’s well-written and the heroes are interesting and the magic’s cool, there didn’t seem to be enough underneath all that, either because we don’t know enough to understand a larger picture, or it just isn’t there. But with luck, we’ll learn more about the Twenty Palaces Society over time, which will take care of that half. And I hope the demonic antagonists will prove to have more character to them than Child of Fire tells us, or something with enough character to be interesting arises as a threat. The bottom line: For all that I have criticisms, I enjoyed the book, recommend it to anyone who likes a good asskicker-of-the-fantastic read, and will pick up the next one, Game of Cages , when it comes out this coming August. And yes, the presence of those active Amazon links mean that if you order a copy via one of those links, I get a tiny percentage of the take, the same as if you bought something from our “Shop” section. So I got a free book out of the deal and could potentially make money off it, too—are there no ethics left in this blogging dodge? !